When I’m asked about Detroit, the questions often circle around news headlines: bankruptcy and blight, crime stats, bus problems. Whether things in the city really are that bad. Until I first traveled there about a year ago, those were my trigger thoughts about Detroit, too. That and Megatron’s freakish football skills. But after spending a big chunk of 2014 in Detroit, kicking it at Astro Coffee in Corktown, roaming the beautiful Belle Isle, stopping into Shinola in Midtown, meeting entrepreneurs and artists, barbers and chefs and teachers — even a mortician — I’m convinced Detroit is beginning its third act in a great American comeback story. 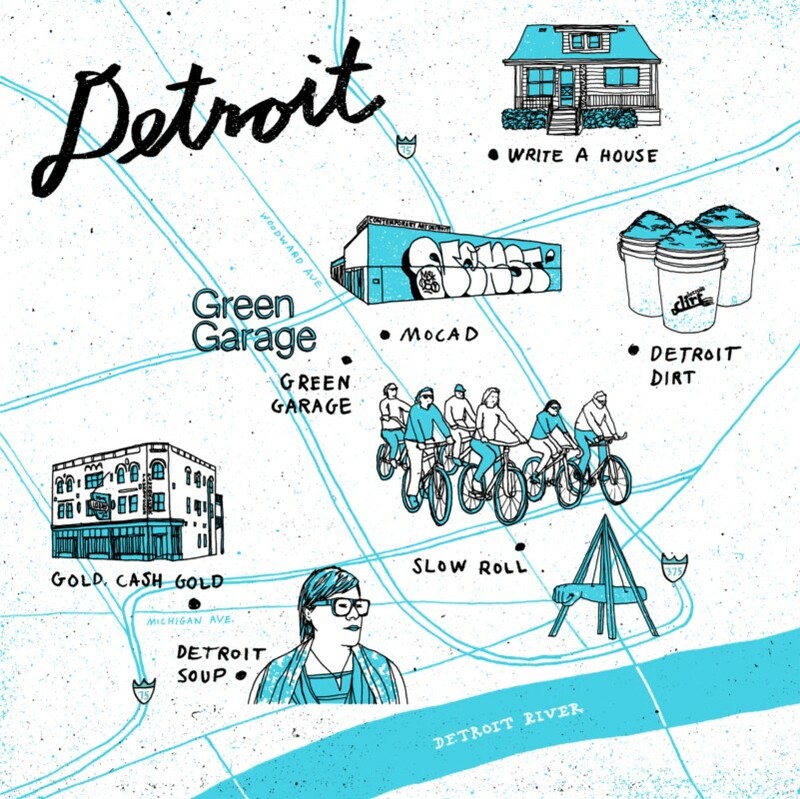 Or, as longtime poet laureate Naomi Long Madgett writes in City Nights, that the “grandchildren are upstairs dreaming.” There’s an engine of ingenuity at work in the Michigan city, with a forward-thinking, Midwestern hustle at the core.